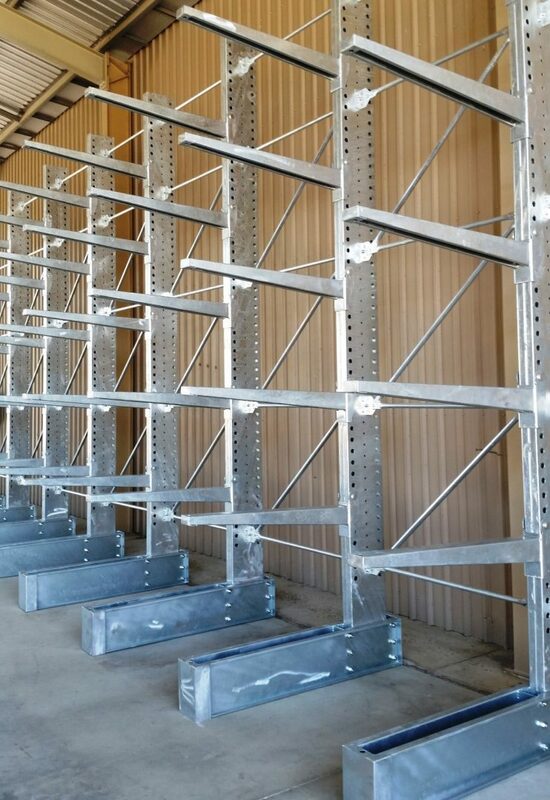 Cantilever racking is the ideal racking system for storing of long products. Ideal for storage of long items such as: timber, steel, board and pipes. Racks are engineered and supplied with Safe Working Loads. Cantilever racks can be powder-coated for indoor use, or supplied in hot-dip galvanized (HDG) finish for outdoor applications. Racks can be configured as single-sided or double-sided. Cantilever arms are height adjustable. We can design and specify cantilever racks to meet your requirements.